Four students at Pueblo are taking part in a Culinary Arts Program through JTED. These students travel to Santa Rita every Tuesday & Thursday each week to attend culinary classes. As part of a counselor outreach program, they recently served breakfast on 3 occasions for about 60 guests. They would prepare a menu for each session and purchase ingredients accordingly. Cooking would begin before sunrise at 6:00 a.m. in order to have food ready for our guests. 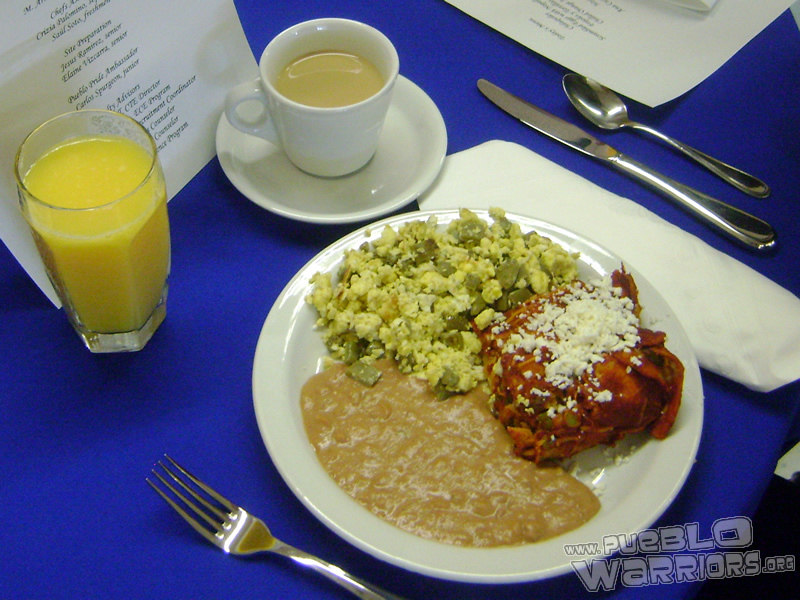 On this occasion the menu included: chilaquiles topped with queso fresco, scrambled eggs with nopalitos, frijoles, tortillas and a chilled glass of orange juice or coffee. We look forward to more events hosted by these students as they move forward towards their career as Chefs.